NEW DELHI, February 16, 2018: As of now, candidates file affidavits on their assets but not the source of their assets at the time of filing nomination papers. In a landmark move in electoral reforms, the Supreme Court ruled that politicians, their spouses and associates to declare their sources of income, along with their assets, in order to qualify for contesting elections. 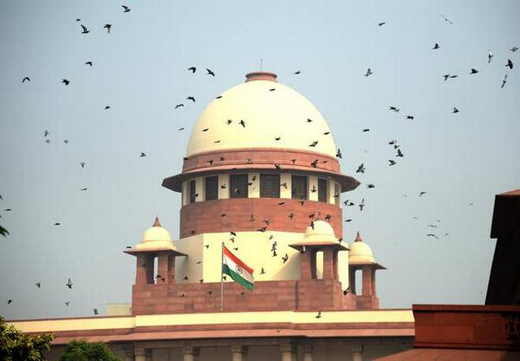 The apex court further directed the government to set up a permanent mechanism to monitor the accrual of wealth of sitting Members of Parliament and Members of Legislative Assemblies, their spouses and associates. A Bench led by Justice J. Chelameswar delivered the judgement on a PIL petition filed by Lok Prahari highlighting the often exponential rise in the assets of politicians within a span of five years between two successive elections. “Their assets and sources of income are required to be continuously monitored to maintain the purity of the electoral process and integrity of the democratic structure of this country,” the Bench directed the government in its judgment. The judgment, authored by Justice Chelameswar, observed that “manifold and undue accretion of assets” by legislators or their associates by itself becomes a good ground for disqualification. “Gold is their God! They (legislators) are deputed by the people to get grievances redressed. But they become the grievance,” Justice Chelameswar described the predicament. The court made it mandatory for candidates contesting in elections and their associates to declare their assets and source of income at the time of nomination. The obligation of a candidate to disclose both his assets and the source of income is a part of the fundamental right of citizen to know under Article 19 (1) (a) of the Constitution, the court said adding enforcement of a citizen’s fundamental right needs no statutory sanction from the government or the Parliament. “A candidate’s constitutional right to contest an election to the legislature should be subservient to the voter’s fundamental right to know the relevant information regarding the candidate,” the ape court held. The apex court held that “undue accretion of assets” is an independent ground for disqualifying an MP or an MLA. Amassing wealth is a “culpable offence” by itself and a law maker can be prosecuted even without charging him for offences under the Prevention of Corruption Act. The court said India as a “Socialist Republic” believes in the distribution of material resources and not in the concentration of wealth. If the assets of a legislator increases without bearing any relationship to their known sources of income, the only logical inference that can be drawn is that there is some abuse. The court pointed out about how legislators use their position to secure loans from nationalised banks which turn into NPAs. Earlier, Justice Chelameswar observed that MLAs and MPs who face investigation for possessing wealth disproportionate to their known sources of income always tend to bounce back to power. “If an MLA’s or MP’s assets have seen a 10x rise in 2019 from what he revealed in 2014, should you not conduct an enquiry into the very propriety of a person holding public office enjoying such phenomenal rise in his assets... The moment a candidate has shown 1000% increase in his income in the past five years, please have a mechanism to conduct an enquiry,” Justice Chelameswar had addressed the government. The Bench had suggested that the government should notify special fast-track criminal courts to try MPs and MLAs in corruption cases. In a separate case, a Bench led by Justice Ranjan Gogoi has already directed that special courts be set up to exclusively conduct time-bound trials of politicians accused of corruption and criminality. Justice Chelameswar had drawn the government’s attention to the 1993 N.N. Vohra Committee Report and the “caustic remarks” made in its about the criminalisation of politics. The hearings had seen the Centre give details of probe into the assets of 26 Lok Sabha MPs, 215 MLAs and two Rajya Sabha MPs in a sealed cover. In an affidavit, the Central Board of Direct Taxes (CBDT) had informed the court that 98 MLAs and seven Lok Sabha MPs are under investigation prima facie for discrepancy between their assets and declared sources of income. Investigation into the assets of 42 MLAs and nine Rajya Sabha MPs is still pending. However, no discrepancy was found in the value of assets and the declared/source of income of 117 MLAs, 19 Lok Sabha MPs and two Rajya Sabha MPs. The CBDT’s investigation covered a list of 26 Lok Sabha MPs, 11 Rajya Sabha MPs and 257 MLAs and was handed over to the court by Lok Prahari. The NGO had claimed that the assets of the politicians in their list has seen a disproportionate growth in the past five years. It is high time to look into the accumulation of unaccounted wealth by almost all politicians irrespective of political affiliation from the lowest elected representative to the highest.